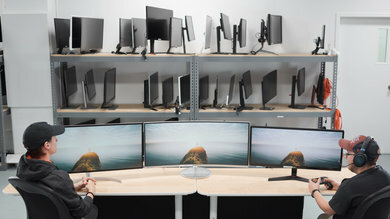 Like TVs, monitors have been getting bigger and bigger over the past few years. 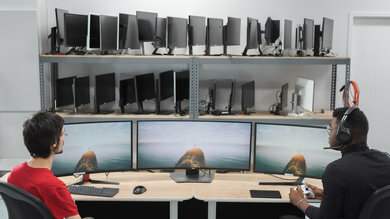 Higher resolution screens have driven the demand for larger monitors, and 27" has emerged as one of the most popular sizes. 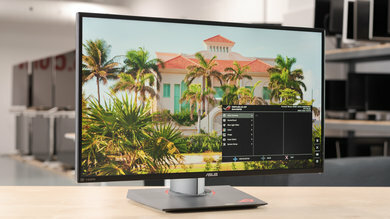 This size monitor strikes a good balance between screen real estate and desk real estate, and whether you are displaying older 1080p content or playing the latest 4k games, it will look good. 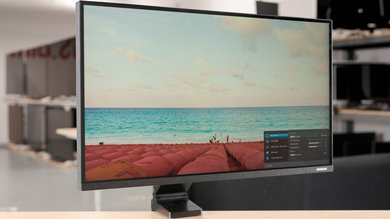 We've reviewed 19 monitors that are available in this size and below are our recommendations for the best 27 inch monitors to buy in 2019. 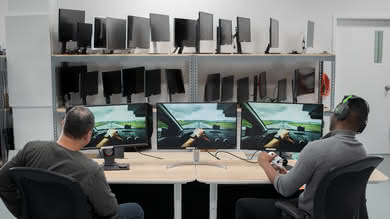 See also our recommendations for the best 28-32 inch monitors, the best large monitors, and the best 4k monitors. 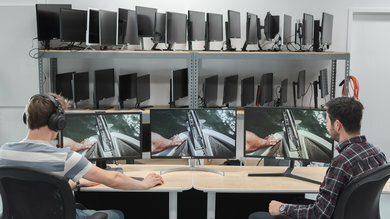 The ASUS ROG Swift PG279QZ is the best 27 inch monitor that we've tested so far. 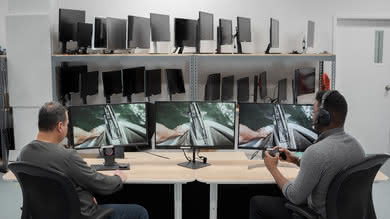 Like its predecessor, the ROG PG279Q, the PG279QZ has excellent gaming features, excellent motion handling, and the image remains accurate when viewed at an angle. 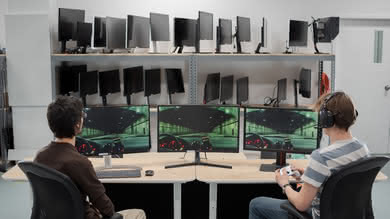 Gamers will appreciate the PG279QZ's outstanding response time, high native refresh rate, and G-SYNC support. The backlight is flicker-free, which is great, and it supports NVIDIA's ULMB feature for even clearer motion. Unfortunately, the PG279QZ also doesn't look as good in a dark room, and it doesn't support HDR, which is a bit disappointing. It also isn't as bright as its predecessor. 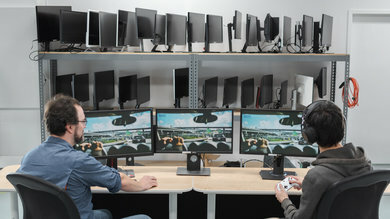 Overall, it is a very good monitor with excellent gaming performance that should please most people. 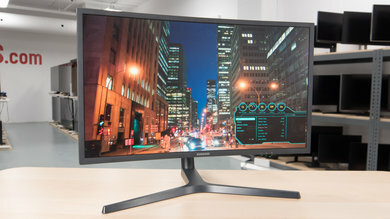 If you want a great 27 inch FreeSync gaming monitor, check out the Samsung CHG70. 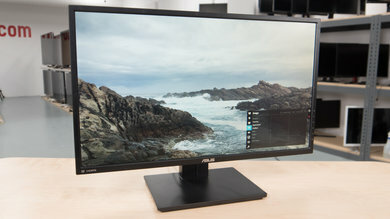 This versatile 27" gaming monitor has an outstanding response time, and impressive low input lag, even in HDR or FreeSync. The 1440p resolution and 144 Hz refresh rate is great for Xbox One S/X owners, but unfortunately, it doesn't support HDR with the Xbox One set to 1440p @ 120 Hz. 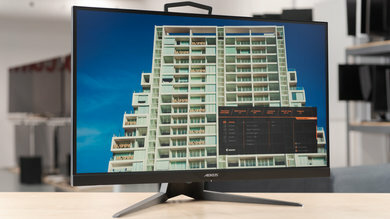 The CHG70 has a great native contrast ratio, good for dark room performance, but unfortunately, the image loses accuracy when viewed at an angle. 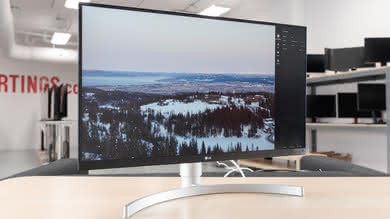 If you want to take advantage of the latest technology and highest definition videos, the LG 27UK650 is the best 27 inch 4k monitor we have reviewed so far. 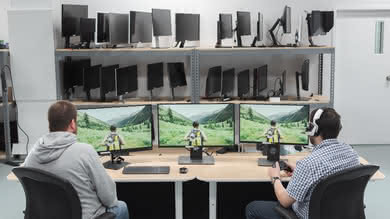 The high-resolution screen makes it even easier to get more done, and the included LG software can split the screen into multiple virtual monitors, making it even easier to multitask. 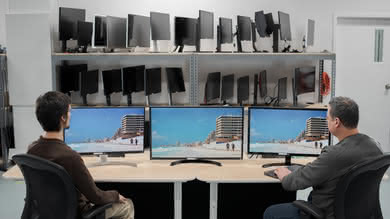 It is a versatile monitor that can easily adapt to multiple uses. It has wide viewing angles, great if you work closely with others and like to share your work. 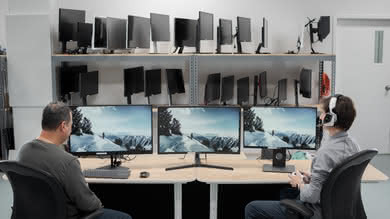 The stand is adjustable, and it can be rotated to a portrait orientation. 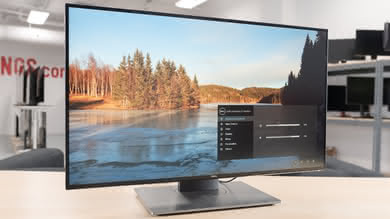 The LG 27UK650 supports HDR, but unfortunately, there isn't much advantage to using it as it can't get very bright in HDR and has a limited color gamut. 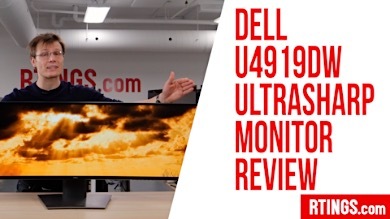 It has a lower 60 Hz refresh rate that might disappoint some gamers, but overall it is a good 4k monitor that should please most people. 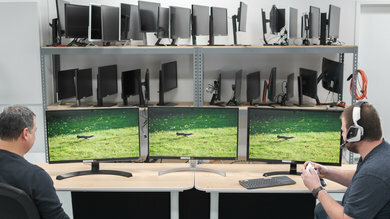 If you like the LG 27UK650, but would prefer something with a better stand, check out the Dell U2718Q. 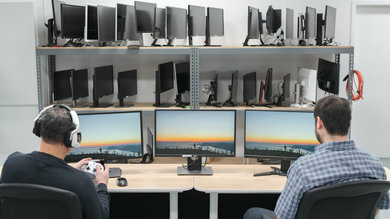 It offers very similar performance overall, but is slightly worse for gaming as it doesn't support any VRR technologies like FreeSync or G-SYNC. The biggest advantage of the U2718Q is the better stand. 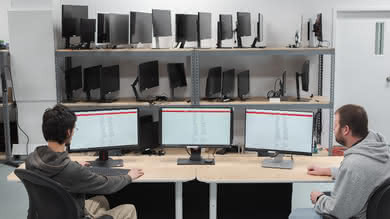 The stand has a smaller footprint and is quite thin, so you can still place small objects in front of your monitor. It also has better ergonomics, with a great height range, and it can swivel, great for sharing your work with a nearby coworker. 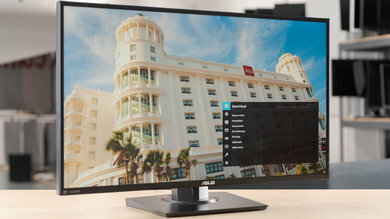 If you want a decent monitor without breaking the bank, the ASUS PB277Q is the best budget 27 inch monitor that we have tested so far. 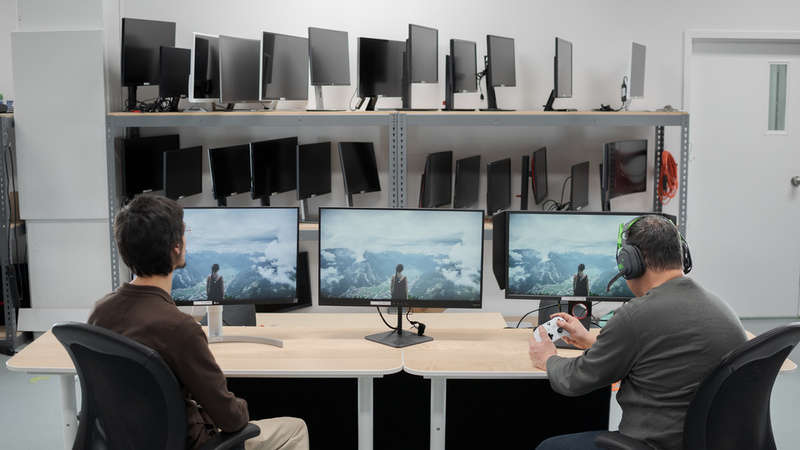 The PB277Q features a 1440p resolution and 75 Hz refresh rate, good enough for most gamers. It produces crisp motion with very little blur thanks to the extremely fast response time, great for gaming or watching videos. It is a decent fit in an office setting. 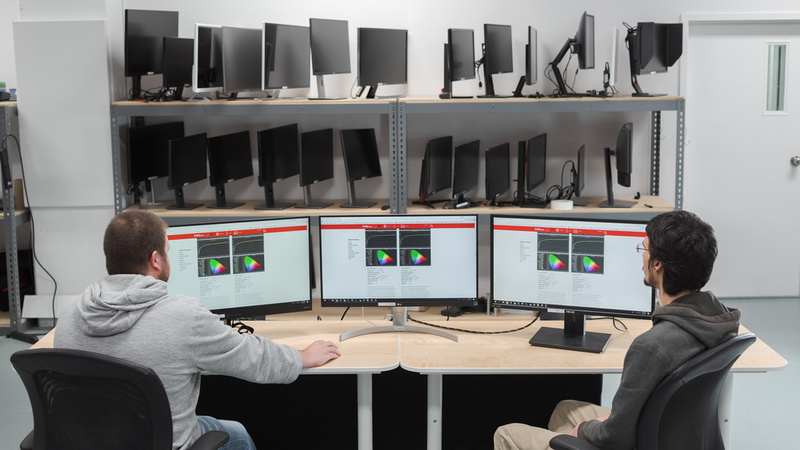 The stand has great ergonomics, so you can easily adjust the monitor to the ideal viewing position or swivel it to share your work with a coworker, which is convenient as the viewing angles are poor. Professionals in the print and marketing industries might be disappointed by the Adobe RGB coverage, but most users will find it has an excellent color gamut. Unfortunately, the ASUS PB277Q isn't a good choice for a dark room, as the TN panel can't produce deep blacks and the black uniformity is bad. 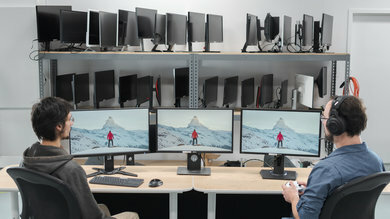 Despite these flaws, it is a decent monitor overall that should please most people. 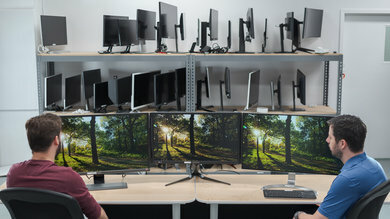 Our recommendations are based on what we think are the best 27" monitors currently available. They are adapted to be valid for most people, in each price range. Rating is based on our review, factoring in price and feedback from our visitors.